Umbrella policies haven’t been with us all that long. They originated as “excess liability” policies and were typically sold to people who had a lot of assets that could be in jeopardy if the insured caused a serious injury to someone else whose medical bills and other claims exceeded the driver’s underlying liability coverage. If you’ve been injured by another driver and it wasn’t your fault, we urge you to contact an experienced personal injury attorney immediately. Your attorney will deal with insurance companies directly, allowing you to focus on your health and recovery. The “excess liability” form of an “umbrella” policy comes into play when the underlying liability coverage is exhausted. 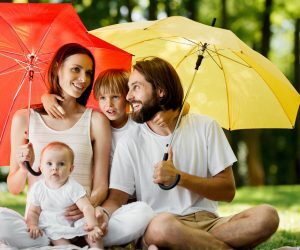 Because insurers who sell umbrella policies require their insureds to carry high liability coverage and relatively few accidents have damages exceeding $100,000, the chances of an insurance carrier having to pay anything out on an umbrella policy are low. As a result, the premiums on such an umbrella policy can be relatively small. Since umbrella policies are sold only to individuals who have substantial underlying auto and/or homeowners liability coverage and these people are typically safer drivers and don’t cause accidents, insurance companies that sell liability umbrella policies are selling a product that is hardly ever used. As a result, such “excess liability” umbrella policies are a very profitable product because the insurers take in premiums and seldom have to pay out claims. All auto policies sold in Minnesota (as well as most other states) require both liability coverage and coverage for injury to policy holders caused by another motorist who either is uninsured or inadequately insured. This is called “uninsured motorist/underinsured motorist” coverage (UM/UIM). Since it’s more likely that one of the insurance company’s safe, well-to-do policy holders will be seriously injured by an uninsured or underinsured driver than the reverse situation, a few insurers started issuing umbrella policies that also covered UM/UIM situations. Naturally, the premiums charged were higher than the plain Jane “excess liability” umbrella policies, because the likelihood of a catastrophic car wreck caused by an uninsured or underinsured motorist is much higher than one caused by a good, safe driver with plenty of liability coverage. The problem arises when an insurance agent either fails to tell the would-be policy buyer that he or she is buying an umbrella policy that covers only excess liability or the agent simply doesn’t know that his umbrella policy is “excess liability” only. Insurance agents, for the most part, don’t have to tell insurance buyers that there is a much better product on the market. Minnesota courts have uniformly held that insurance agents are “mere ticket takers” who don’t have to know everything that’s in the insurance product they’re selling, though they cannot deliberately lie about what’s in a policy. As an example, we asked a friend if he thought that his State Farm umbrella policy covered UM/UIM situations. Since he knew nothing about it, he asked his agent – a friend of his – if his umbrella policy covered UM/UIM claims. She told him that she believed it did, but she would ask her boss. When she did, she learned that the State Farm policy she had sold our mutual friend did not cover UM/UIM. While State Farm is a reputable auto insurer, its standard excess or “umbrella” policy has to be supplemented with a higher premium policy to provide true, all-around umbrella coverage. As a result, the standard State Farm excess coverage is not one that we could recommend. When considering policies from any of these companies, keep in mind that state laws change, which can affect whether the insurance carriers’ umbrella policies cover UM/UIM liability claims. Also, beware of “drop down” provisions. Some umbrella policies may contain language that excludes umbrella coverage for family members who are injured in an uninsured/underinsured car crash. We’ll discuss these provisions, often called “family exclusions,” in-depth in our next posts. No matter where you choose to purchase insurance, be your own advocate. Read the policy. Don’t take the agent’s word for it, because he or she may honestly not know there are different types of umbrella policies, as was the case with the State Farm agent who sold our friend his policy. You must be your own advocate. Read the policy. Ask the agent to show you where the policy says that your umbrella policy affords UM/UIM coverage. These policies may cost a little more, but they offer much better, sometimes crucial, protection. People who suffer personal injury or lose a family member through someone else’s negligence turn to Suk Law Firm, which has the resources and a proven track record for achieving optimum recoveries. We’ve recovered more than $125 million on behalf of clients and we are ready to assist you.